Our Smart Conversion Platform reduces system development cost for Signal Conversion ASIC project with analog bandwidth ranging from 5 MHz to 600 MHz. The Smart Conversion Platform uses IP functional blocks formed on SCCORETM Technology. ff as well as signal filters are implemented in programmable digital circuitry. The flexibility and programmability ingredients of the Smart Conversion Platform combined with appropriate IP functional blocks enable fast and flexile path to single hardware solution for various specifications. 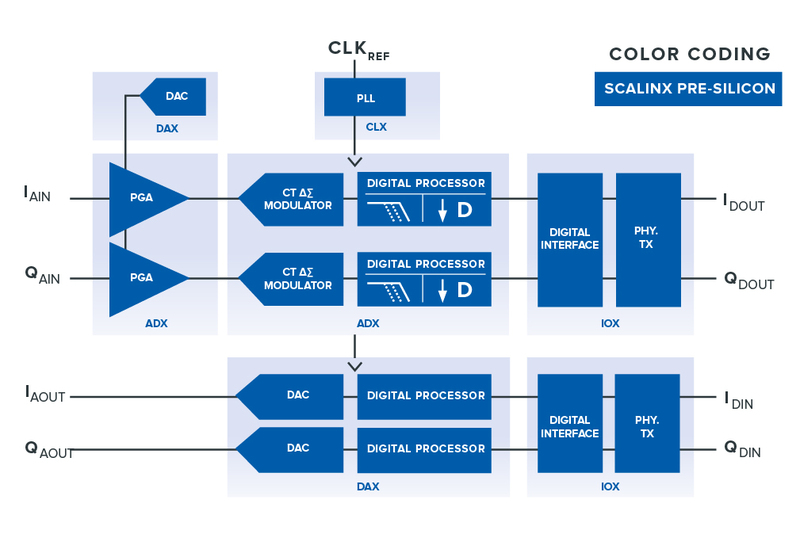 These features make the Smart Conversion Platform an ideal starting-point for an advanced Signal Conversion ASIC device.